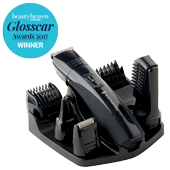 Our Quick Body & Back Groomer will help you get rid of body hair, especially in hard to reach areas with the detachable extension handle. 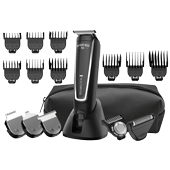 Whatever your grooming need, you’ll have all bases covered with this all-in-one grooming kit that delivers ultimate precision and outstanding performance. 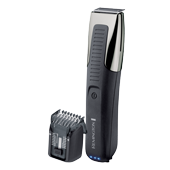 Whatever your grooming need, you'll have all bases covered. 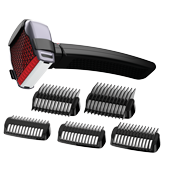 Compact body grooming tool that makes 'man-scaping' effortless. 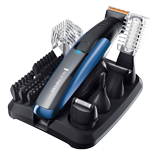 All the essential tools you need for versatile grooming at home. 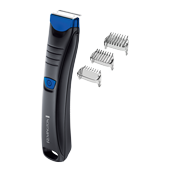 Engineered for precise and accurate everyday trimming, detailing and shaving. 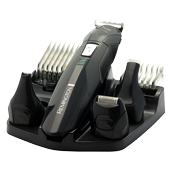 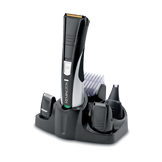 Take control over unwanted body hair with Remington’s Turbo Pro Body Groomer.